With Google’s Penguin algorithm slapping sites right and left, it’s a good idea to know how to detect incoming links that could harm your standings in the search engine giant’s eyes. And your life will get a lot more complicated if you wait until after your rankings plummet, rather than finding problem links yourself, first. Being proactive and never letting your link profile get to the point where you’re a target is a relatively simple process, especially if you approach it methodically. There are several tools out there that will give you a list of your links, but I’ve found that Google’s Webmaster Tools usually supplies the most complete list. You can download them in a .CSV file that can be imported into Excel for sorting. Once you’ve done this once, if you continue to keep your finger on the pulse of your website, checking links periodically, it becomes a very simple task. What I’m going to do here is give you some guidelines on determining whether a link is one you might be better off without. This requires a shift of mindset. Don’t look at your inbound links as your property, that you’re loathe to part with – look at them from Google’s point of view. If you find yourself justifying a link to yourself, that usually means that you realize that Google might not see it in the same light, without your explanation. If that’s the case, you need to be rid of it. The first thing you need to know is if the domain is still in Google’s index. If you’re using a third party tool, some of them will give you that information in their initial report. If not, you simply run a site: check with Google. Type site:sillyexamplesite.com into the Google search box, and if it returns this message, the site has been de-indexed (be careful of typos, as a non-existent site will return the same message). If the site has been de-indexed, you definitely don’t want to keep the link. They got de-indexed for a reason, and you don’t need Google thinking you like to run with the wrong crowd. If they manage to achieve re-inclusion and fall back on old habits, you could suffer for it. 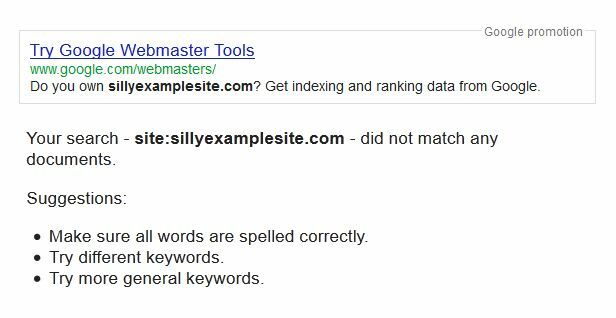 On the other hand, if Google returns pages of the site, then it is present in the index and has passed the first test. Next, I look for domains that are obviously not the sort I care to have links from. If my site is focused on liability insurance, I certainly don’t need inbound links from sites selling pharmaceuticals or gambling. As a rule, I want links only from sites that are relevant to my own and from pages that are relevant to the page to which they’ve linked. I now look to see what kind of link is being sent. Site-wide links, as a rule, aren’t a good idea. Links from a Links page, I don’t want either, except in very special circumstances. I’m a little more forgiving of blogroll links, but again, on a limited basis. In-content links are always preferable, provided they’re embedded in content that’s relevant to my site. Now I start looking at the other sites that the linking site is also linking out to – that often tells you a lot. Do those other sites represent the sort of neighborhood you care to be lumped in with? 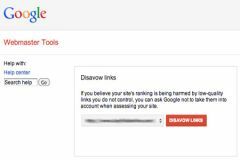 If you see sites that you wouldn’t be caught dead linking to, you’ve probably found a good reason to be rid of the link. At this point, I start looking at anchor text for diversity. There may well be some decent links that can be made better by changing the anchor text. 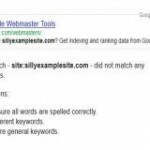 Excessive use of major keywords is a sure-fire way to get in hot water with Google. Being conservative in the use of keywords in the anchor text of your inbound links is always a good idea. Some other methods that are more natural and appear to not cause problems are anchors like “more”, “read more” and “here”, as well as using the title of the target page. Raw links, with no anchor text at all, also appear to be safe. The key is to maintain diversity in your inbound anchor text. Since you’re not buying links, the people that are linking to you presumably are doing so because they respect your content – so they’re unlikely to balk at changing an anchor if you approach them politely. If you have 10,000 inbound links and have never bothered to analyze your link profile… this will be a chore the first time. 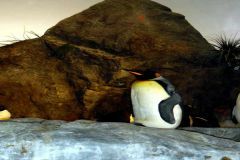 However, if you receive a slap from the Penguin algo, it’s a chore you’ll have to face, and a painful one, if you’re feeling a dramatic loss of traffic while desperately trying to regain your rankings. Once you’ve done it once, you can do it periodically in small bites, so that you’re only looking at a handful of new links each time. Knowing you’re not vulnerable to a Penguin attack will give you peace of mind, so I strongly suggest you make time to audit your link profile now, before it becomes a mandate.